Whether you’ve been struggling with type-2 diabetes for years or are a pre-diabetic individual who needs to make some changes, the Keto Diet could be the diet you’ve been looking for. For many type-2 diabetics, the Keto Diet is able to help them to manage the symptoms of their disease by decreasing the amount of sugar (glucose) in their body, which means fewer fluctuations in insulin levels, in addition to a bevy of other health benefits, such as weight loss and increased mental clarity. 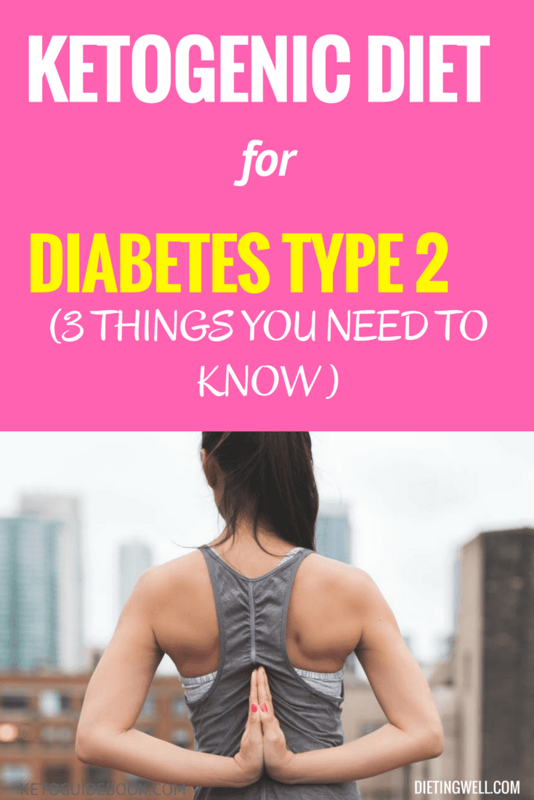 As with any diet change, information is the key to success and here are 3 things type-2 diabetics need to know before starting the Keto Diet to help you to decide whether the Keto Diet is right for you. Though typically more prevalent in type-1 diabetics, often diabetic ketoacidosis is held up as a cautionary flag against the Keto Diet, but an accurate understanding of how the Keto Diet works will help you to decide whether the diet is right for you. Ketosis is when your body starts to produce ketones for energy. Your body switches to ketones when there is no available glucose to use for energy. You achieve ketosis by limiting both your sugar intake and your carbohydrate intake (excess carbohydrates are stored in the body as glucose) and by eating a high-fat, moderate-protein, low-carbohydrate diet. Ketones are produced in your liver from the fat stores in your body, which is why the Keto Diet is so impactful at eliminating excess fat from the body. When you eliminate the excess carbohydrates and sugar from your body and, instead, focus on eating healthy sources of fat, and protein, in addition to low-carbohydrate, healthy vegetables, and fruits, your body is forced to use fat as fuel, instead of storing it. Diabetic ketoacidosis is when the body has an excess of ketones in the bloodstream, which means blood sugar levels become difficult to manage and can lead to serious, life-threatening consequences if medical help is not received. Diabetic ketoacidosis is more common in type-1 diabetics who are insulin dependent, but it is often cited as a criticism of the Keto Diet. If your pancreas is working properly, it is very hard to experience ketoacidosis as the body will switch to insulin when glucose levels are too high and stop producing ketones (which will kick you out of ketosis). However, if you are starting the Keto Diet, but aren’t ready to commit to eating Keto, you need to consider whether it’s the best diet option for you. As many people get older, or after a lifetime of poor eating habits, type-2 diabetes becomes a real health concern. When people don’t manage what they eat and are prone to eating high-sugar, high-carbohydrate foods, their bodies will collect that excess energy in the form of fat. Sometimes, if your body is no longer able to properly manage its insulin levels, you can develop type-2 diabetes. For type-2 diabetics who are looking for a way to manage, or possibly reverse, the symptoms of their disease, the Keto Diet can be a great choice. The Keto Diet changes your primary source of energy from carbohydrates (glucose) to ketones, and most practitioners of the Keto Diet notice a marked change in their overall eating habits. When you begin to eat for fuel and not as a result of sugar addictions, or because of emotional eating, your body is often able to run more efficiently. Many practitioners of the Keto Diet notice a decrease in overall hunger. Because fat and protein take longer for your body to break down than simple carbohydrates, you feel full longer and are better able to resist the urge to overeat. 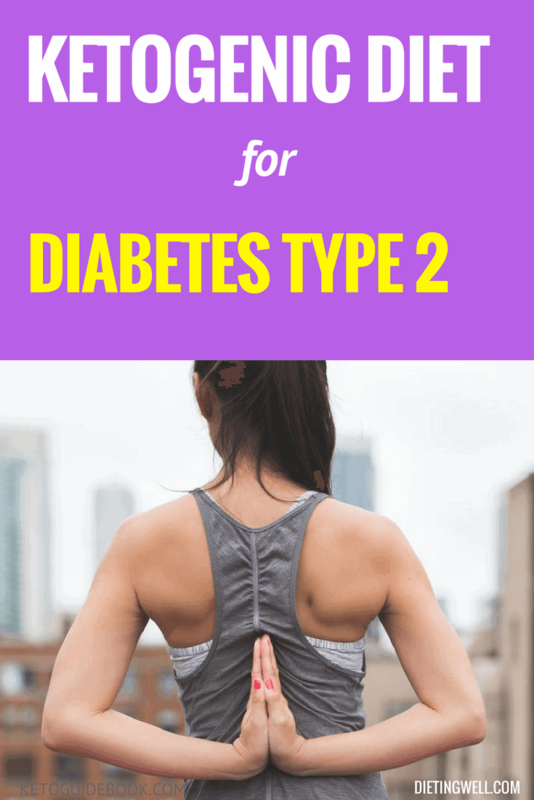 For type-2 diabetics, this means being better able to control their blood sugar and what they eat, in addition to weight loss (over time), which is often one of the underlying health issues that leads to type-2 diabetes. For type-2 diabetics, the Keto Diet is an all-or-nothing commitment. Because your body is likely not producing insulin properly, starting the Keto Diet and then having a “cheat day” where you eat a lot of carbohydrates and sugar limits the effectiveness of the Keto Diet and, in some instances, can even be dangerous. When your body goes into ketosis, it begins using ketones for energy instead of glucose. However, when you eat improperly on the Keto Diet, your body will have an abundance both ketones and glucose (sugar) to use for energy. This means you may not be able to manage blood sugar levels and also that you will no longer be in ketosis and, therefore, no longer receiving any of the benefits of the Keto Diet. In type-1 diabetics, this can lead to diabetic ketoacidosis and, in some instances, it is also a concern for type-2 diabetics. If you are going to try the Keto Diet and you have type-2 diabetes, you need to be sure that you are ready to commit yourself to the change. Yo-Yo dieting or an inability to commit to eating according to what the Keto Diet dictates means you’re not ready for the Keto Diet. As with any major lifestyle change, if you have type-2 diabetes, or any underlying health issues, and are considering starting the diet, be sure to speak with your doctor before starting the diet. Not all doctors are informed about the Keto Diet, but more healthcare practitioners are coming to understand the link between excessive carbohydrate/sugar consumption and the spiking health concerns for people, especially diabetics. But if you are able to commit to this new way of eating, the Keto Diet may be able to help you manage your blood sugar levels and, in some instances, make living with type-2 diabetes more manageable than before.